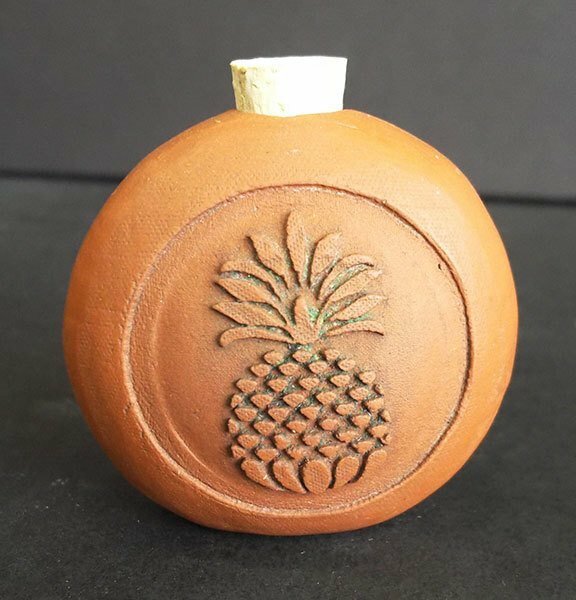 Small handbuilt terracotta bottle. Burnished with smooth stone, then after bisque firing, rubbed with beeswax for soft finish. With cork stopper. This item can be custom embossed with your special design for wedding favors or other special events.